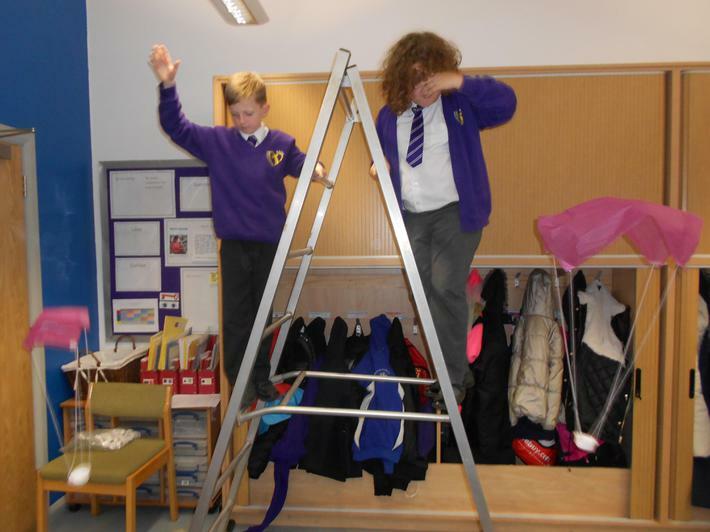 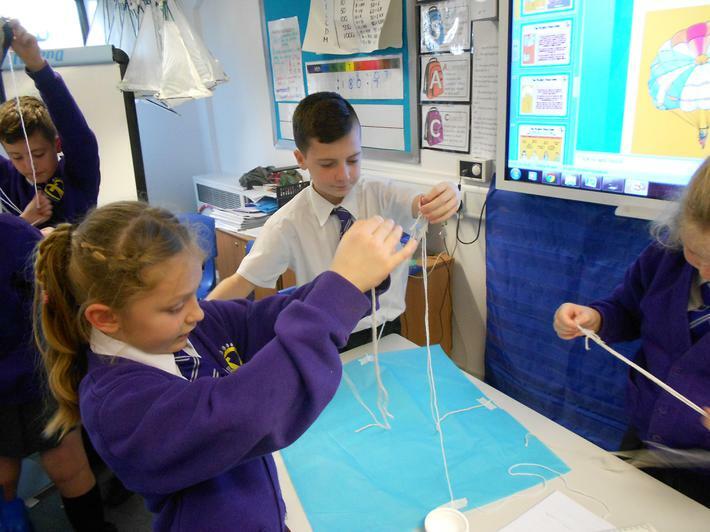 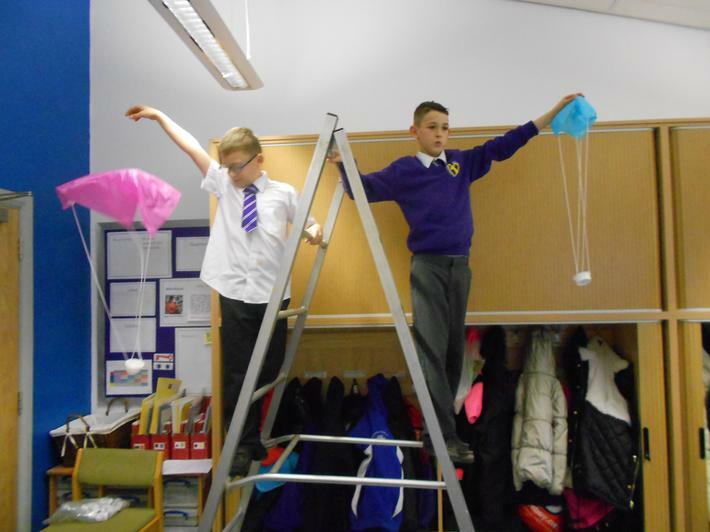 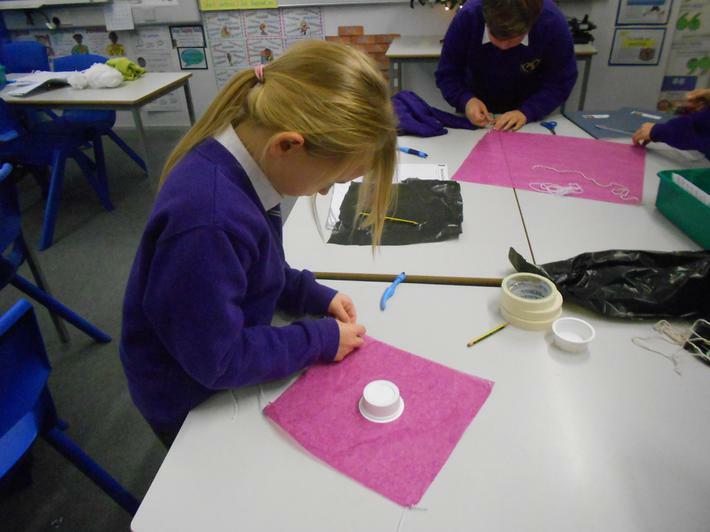 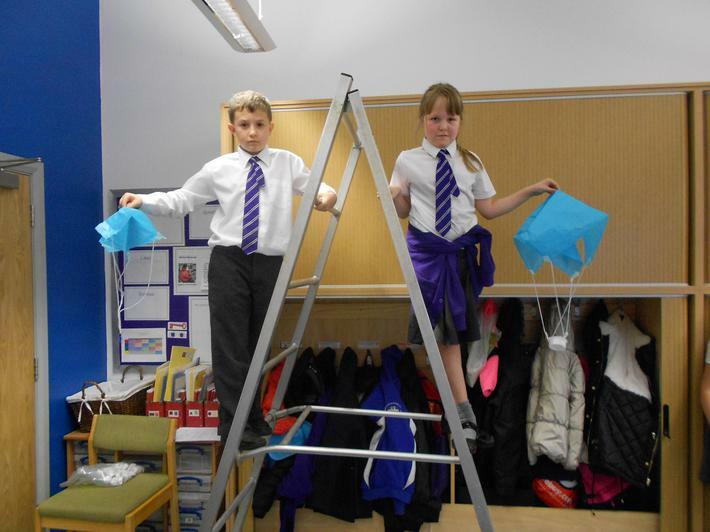 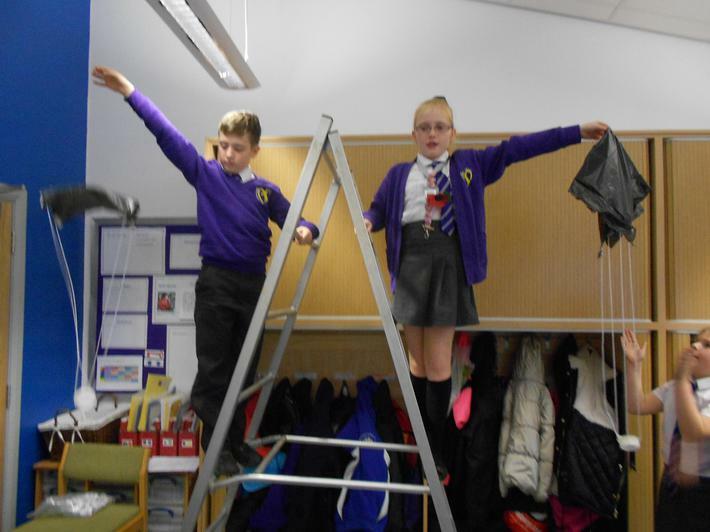 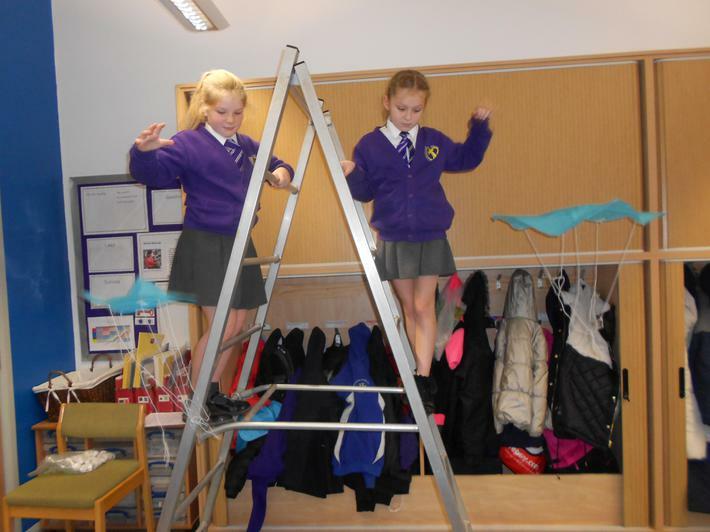 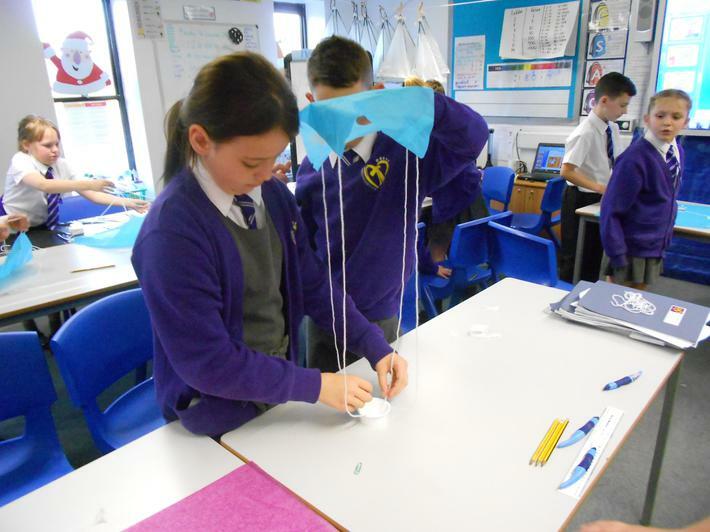 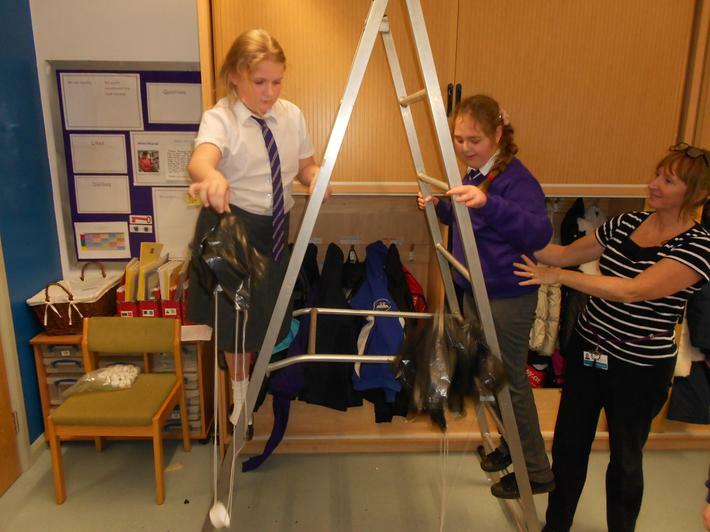 We worked very hard designing parachutes to test air resistance. 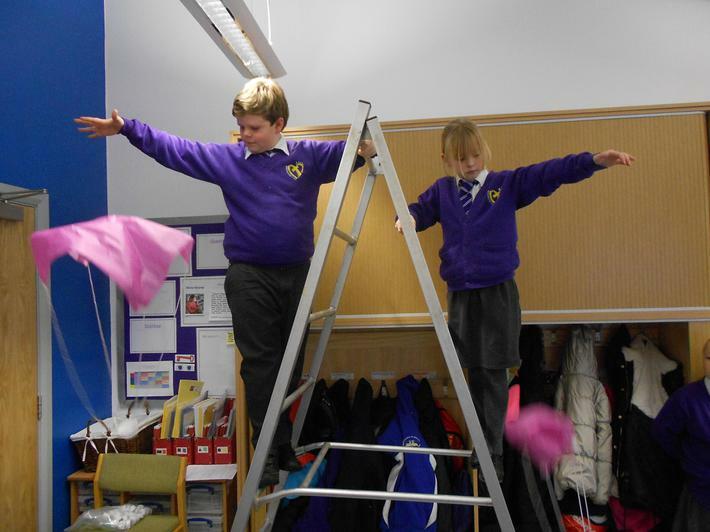 We found that the bigger the parachute, the slower it fell. 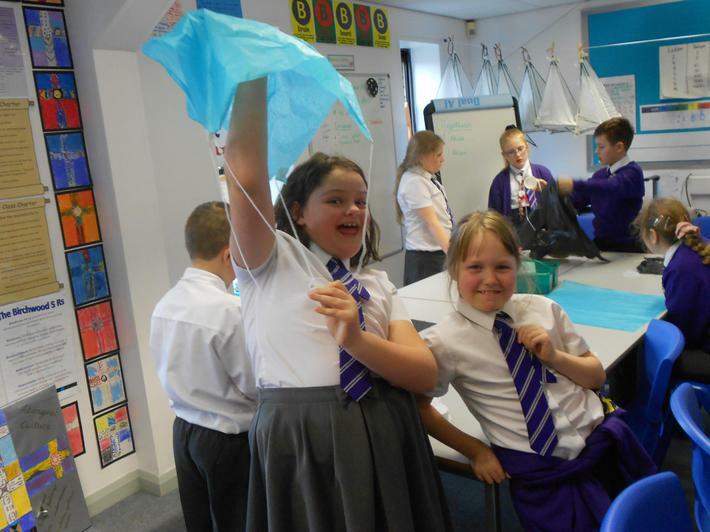 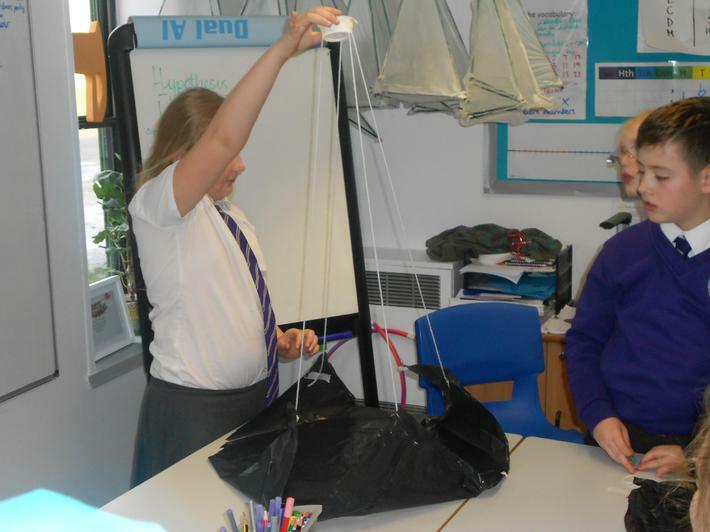 This is because the bigger parachute has more surface area which gives it more air resistance.